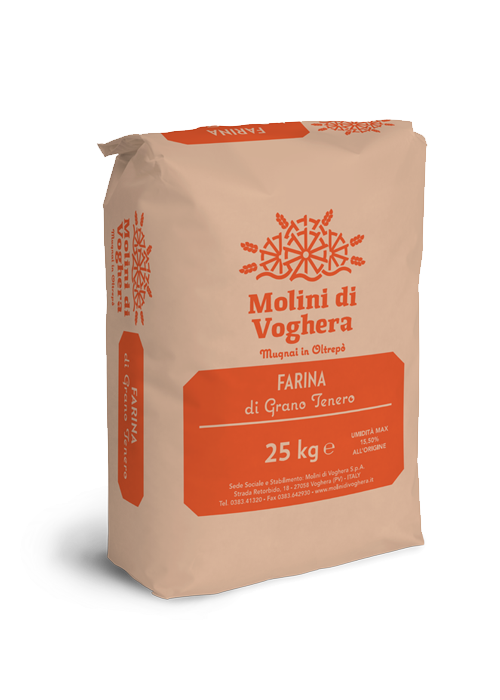 Good quality wheat is not the only thing it takes to produce good quality flour. Premium flour requires different varieties of wheat and the skill to blend them successfully. For our premium ranges, we use 15 carefully selected wheat varieties of controlled origin. 1,000 square kilometres of land enclosed between the regions of Emilia Romagna, Piedmont and Liguria, cultivated by the best growers in the Oltrepò. The raw material that we work with is the secret behind our excellent quality. Twelve blends of soft wheat suitable for all types of oven-baked products. Every blend is created for a specific use according to the kind of oven-baked products desired. Flours with good resistance, suitable for long or short leavening times. Ideal for every day production of bread and patisserie products. 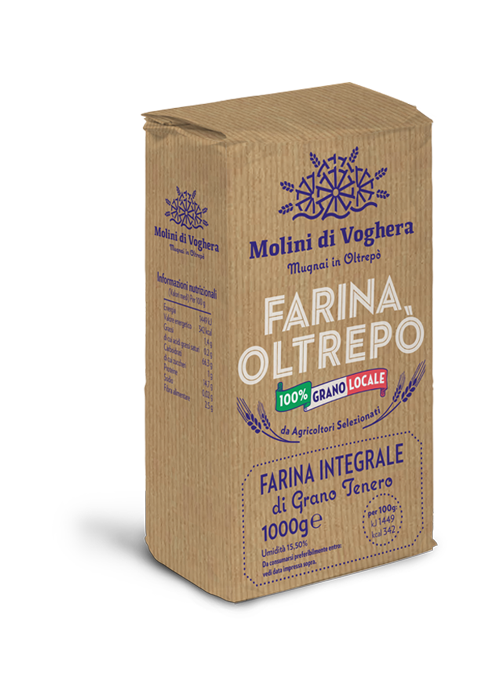 “Farina Oltrepò”line: 100% local wheat produced by selected growers. For more than 400 years, Molini di Voghera has been carefully selecting the best wheat grains in the Oltrepò Pavese area. The area’s unique climate and soils have always guaranteed high quality wheat that is still transported to the Mill by the best growers themselves for milling. 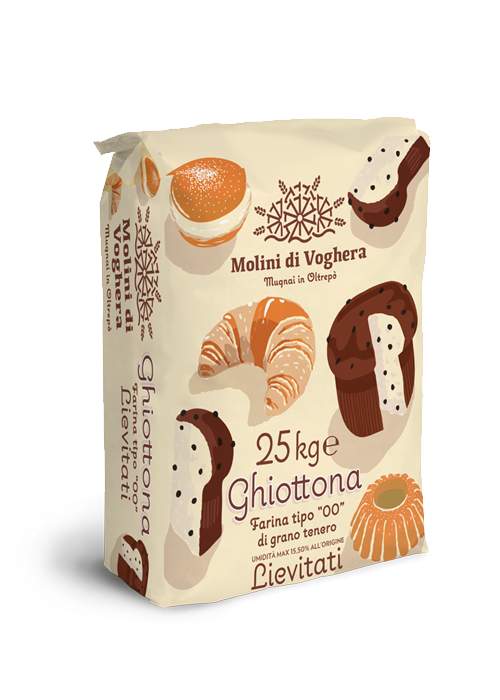 Oltrepò flour has an exceptional aroma and is ideal for making all kinds of sweet and savoury items. The “Pizzeria”line was created by carefully selecting the most prized wheat from the Oltrepò Pavese and Canada. 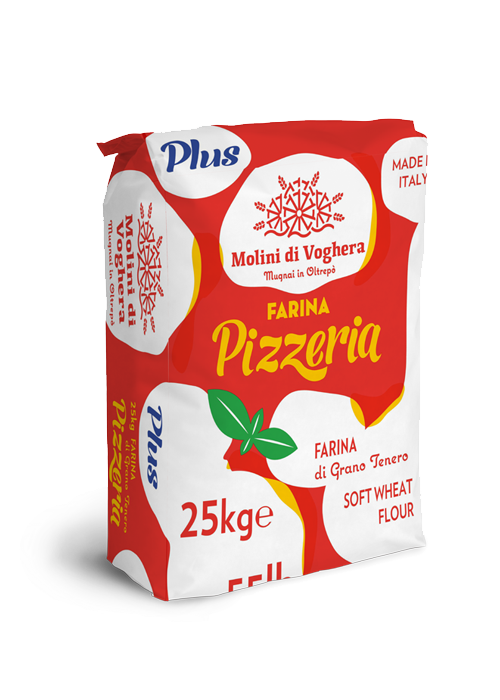 The special mix of wheats lends the flours in the “Pizzeria”line elasticity and smoothness. The quality of this particular flour is reflected in the long leavening times that give pizzas a light and crunchy texture. 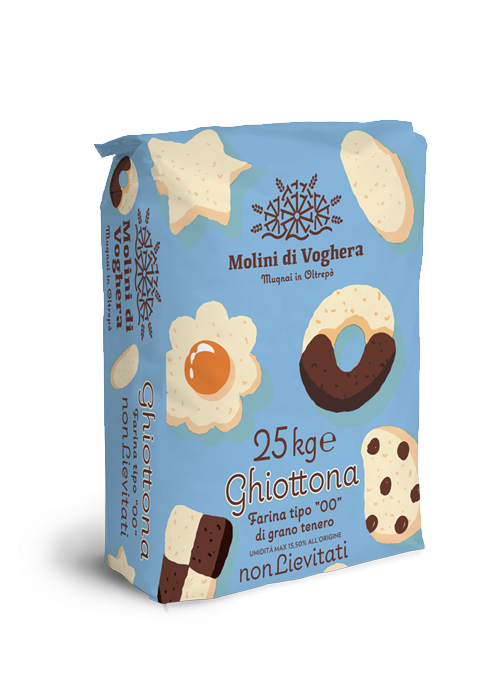 Centuries of experience have led Molini di Voghera to develop the“Ghiottona” line of flours, with the intention of sharing the excellence of these flours with master pastry chefs. The care with which the best wheat is selected and the skilful way in which they are blended produce sensational results. 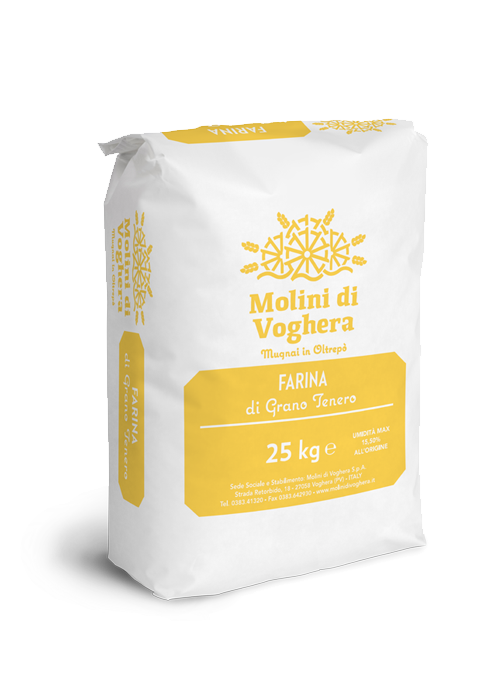 Being particularly rich in fibre and vitamins, fats and proteins, beneficial enzymes and minerals, these flours are the most complete from a nutritional point of view. The wholegrain flours produced by Molini di Voghera have a raw and dark appearance due to the presence of bran. 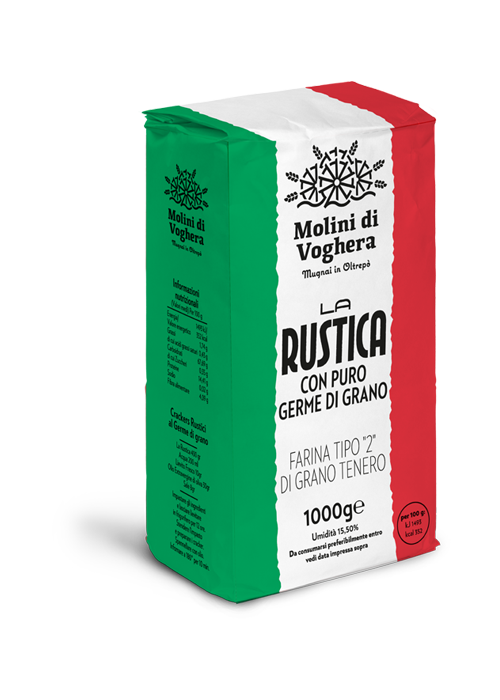 “La Rustica”: with pure wheat germ. 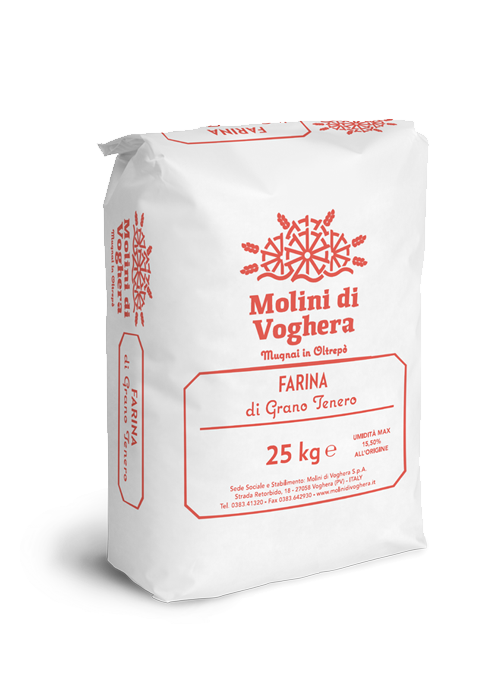 Molini di Voghera produces La Rustica flour by milling the grain using ancient methods, slowly and respecting its intrinsic characteristics. 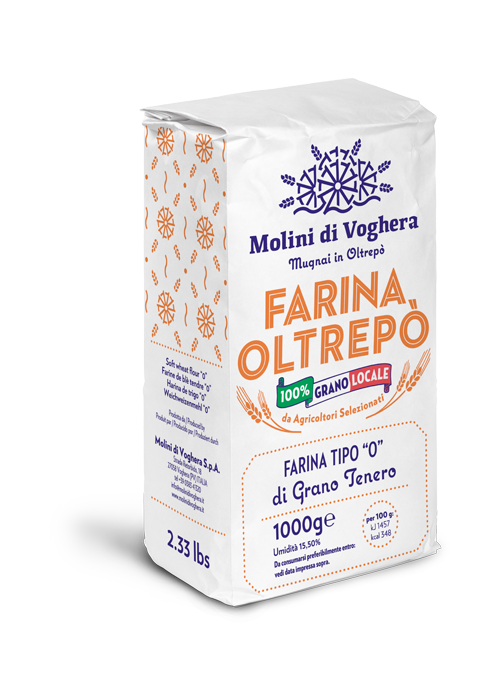 The flour is rich in fibre and wheat germ, and contains Omega 3, Omega 6 and vitamins A, E and D which are antioxidants and combat free radicals. It is also highly suitable for bread-making. As it cooks, the wheat germ releases delicious aromas and flavours. Ideal for both sweet and savoury doughs. 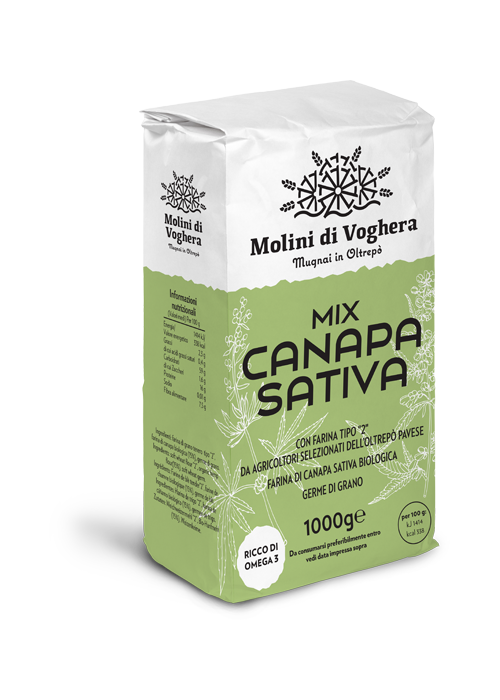 Mix Canapa flour is produced by mixing high quality flour n°2 LA RUSTICA with 15% organic hemp flour. Mix canapa is rich in proteins, fatty acids, polyunsaturates, Omega 3, Omega 6, fibre and minerals. It can be used to make dough for bread, pizza and pastries. It is also excellent for making fresh pasta. 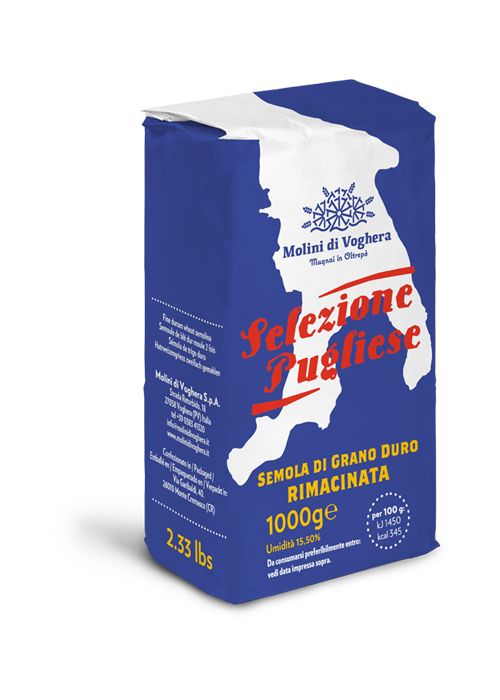 Soft wheat flour with a very low ash content, recommended for preparing fresh pasta. In addition to producing exceptional results, it helps retain the light colour of the pasta for a long time even when it is stored without protective packaging. Centuries of experience have taught us how to select only the best amber- coloured wheat bran, dried under the Puglian sun in Southern Italy. It is rich in carotenoids which help to prevent cell ageing. 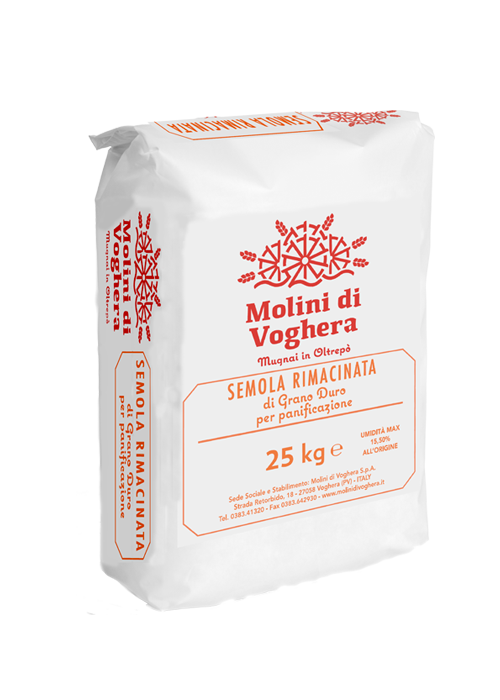 “Selezione pugliese”semolina represents the excellence of remilled durum wheat obtained directly from the homeland of durum wheat, coupled with the quality guaranteed by Molini di Voghera. 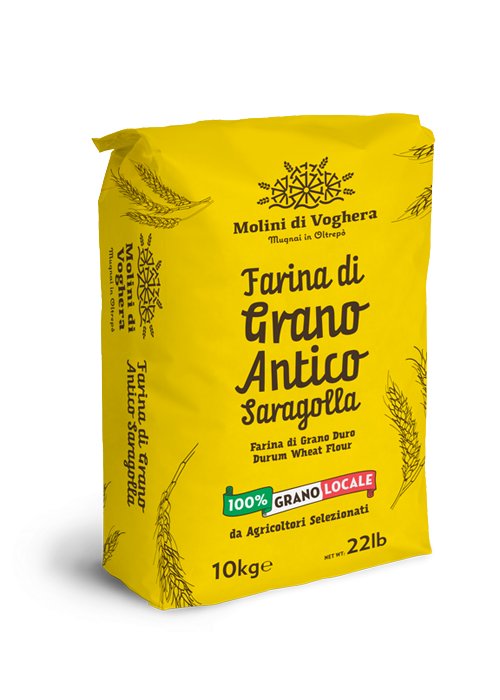 Saragolla durum wheat is an ancient variety that has long been cultivated in the south of Italy. 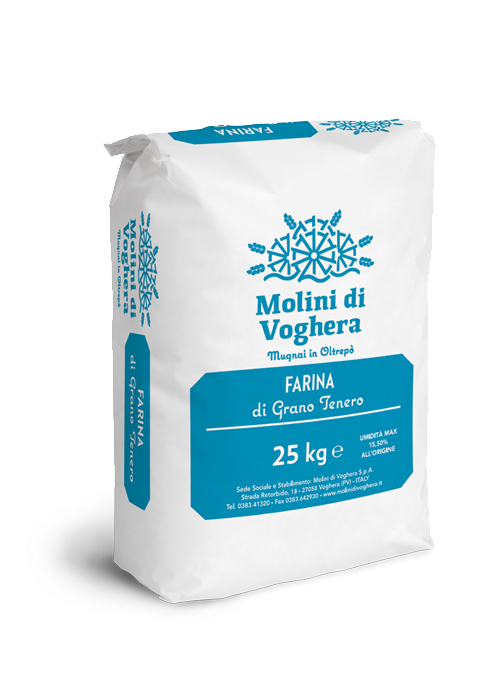 Molini di Voghera has secured supply contracts for this remarkable cereal with the best growers in the Oltrepò Pavese area. The grains are ground slowly to avoid damaging the starch. 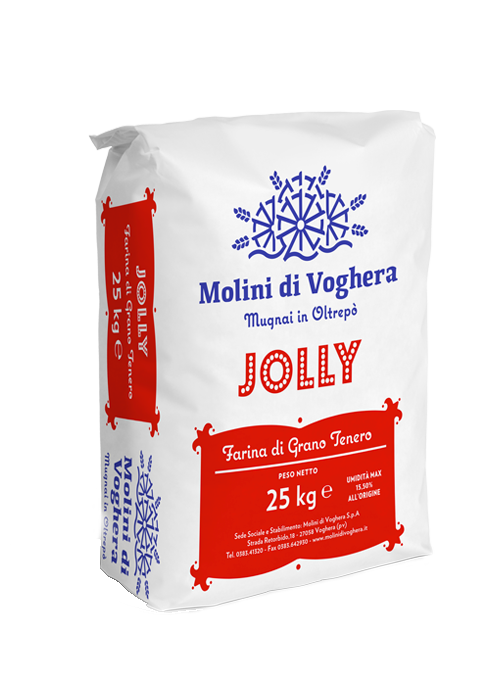 The flour produced is rich in vegetable protein but low in gluten, meaning it is lighter on the stomach and especially easy to digest.